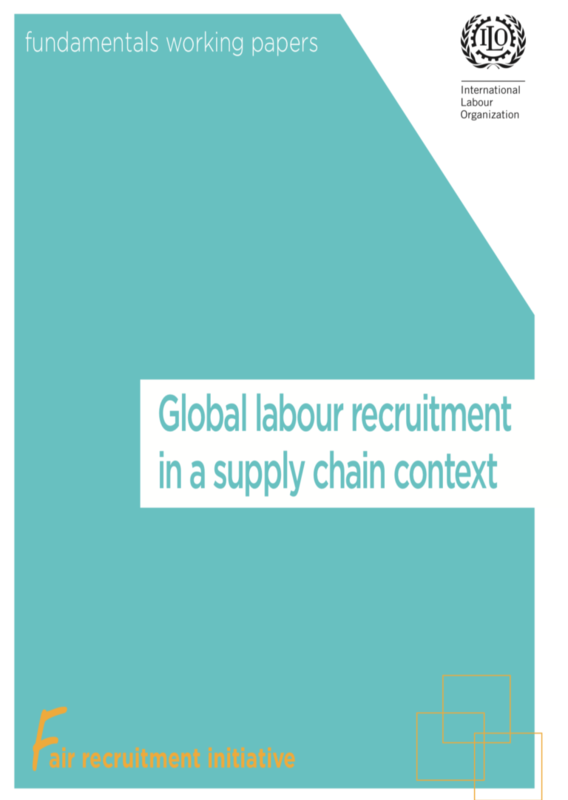 string(1106) "Resource Centre > Uncategorized > Global Labour Recruitment in a Supply Chain Context"
The paper is the result of a yearlong inquiry into possible courses of action that would ad- dress the recruitment governance gap, with particular attention to the abuses that affect a large number of workers. It touches only lightly on problems with recruitment and the factors impeding its regulation that are well-documented elsewhere. Instead, it seeks to explain why the market for recruitment operates as it does and to propose responses that address those market factors directly. It is written with recruitment from Mexico to the United States in mind, but its goal is also to offer insights relevant to other origin and destination corridors that share some of the key features of the Mexico-U.S. setting.